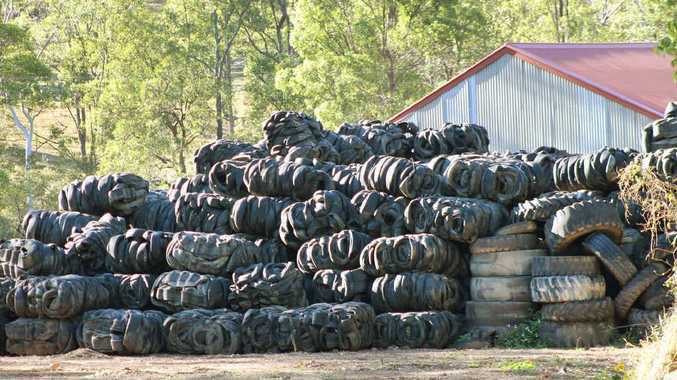 THE owner of the Kholo property where 100,000 tyres have been illegally dumped is due in court next month after Brisbane City Council launched legal proceedings. The QT has reported on two dump sites this week - the one at Kholo and a dump of 80,000 tyres at Haigslea. Ipswich City Council has fined the tyre scrap company involved $60,000 for the illegal dumping at Haigslea and is looking at getting an injunction in the Planning and Environment Court against the operator and possibly the landowner. Proceedings against the owner of the Kholo site are ongoing. "Brisbane City Council has commenced a prosecution for an alleged illegal storage of tyres and failure to comply with previous court orders against the owner of the Kholo site and the matter is next in court in late January 2015," a council spokesperson said. "Brisbane City Council is allowing the land owner at Pinkenba to use the rogue scrap tyre business to get rid of half a million tyres," he said. "We are sitting here thinking these are just going to get transferred to another illegal dump site somewhere. It is not fixing the problem, just shifting it. "Compared to Ipswich, Brisbane (City Council) has been really tardy about this issue." 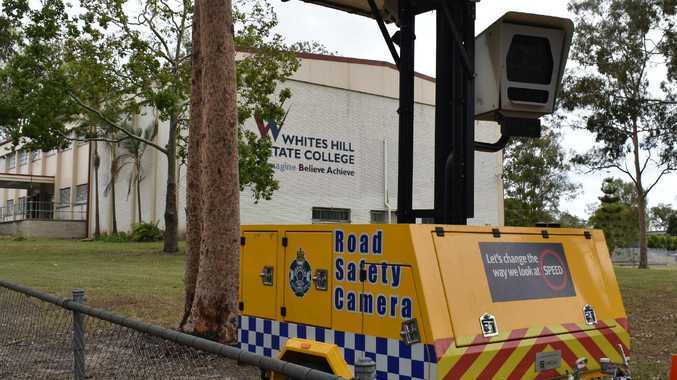 The Brisbane council spokesperson said Mr West's claims were incorrect and that council was liaising with other government agencies in order to monitor the actions of the scrap tyre company "and will follow up with urgency any reports of tyres being taken to unapproved locations". "BCC became aware of the Pinkenba tyre storage issue some time ago and has worked with the owners of the property to resolve this matter. "The owners contracted a company... to undertake the removal of the tyres. (The company) have previously held the necessary permission under the Environmental Protection Act 1994 and were operating out of premises at Loganholme." Mr West said the dump at Pinkenba, near the Brisbane Airport, was a fire hazard. "Pinkenba is an illegal dump that the firies cracked down at the beginning of the year," he said. "There was an escalated way of dealing with it for the G20 conference because it was potentially something to be used by terrorists. "The property owner had nothing to do with the dump. The tenant went broke so he has been caught with the bill. "It is something like $500,000 to clean it up."